Valentines Day, to me, is the day when we should be expressing GOD. After all it is God who IS love. He tells us to have faith in Him in order to believe. Hebrews states it like this - Without faith we cannot please God, because we must believe that there is a God and that He is a rewarder of those who seek Him. So many of us get incredibly disappointed on holidays like this because we do not get the presents we expected, or we get upset because someone out gifted us, or we have no one to celebrate with and usually we do not even want to be in the presence of the person we ARE with. I thought about these things, and came away with some things which made I hope will extend great peace. Our mere presence to another is the greatest gift we can offer. No one "deserves" our attention, it is a gift. When it is withheld it is brutal to someone who is wanting of it. However, if someone loves Christ, they should be able to rejoice in the fact that now they can be alone with Him, uninterrupted. If someone does not want to receive your love, which brings peace, of course it hurts, but it does not harm you, it harms them. When a person harms you, they fear - -and the one who fears cannot be perfected in Love. When a person does not love God they cannot love others, because the love of God is not in them. Christ came and was able to love the unlovable, he separated when His peace was not received. But He also loved them enough to tell them the truth before leaving. When we do things for those we love, it isn't because they deserve it, if we love like God. It is because we desire, out from out energies we have, to do so freely. 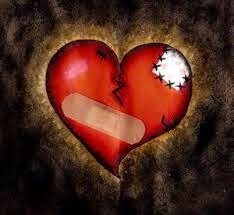 While it hurts when the gifts of our love are diminished, rejected, or mocked if we gave freely and out of love, then they will not owe us anything in return. And in the hurt you feel do not retaliate, for the harm coming to them is brutal to their heart. The spirit of peace is within you, if you do not give it away in the testing of your faith, to seal over your heart and keep you from the evil in your midst. I am not saying the one who hurts you is evil. I am saying the evil one is utilizing you or them - depending on who is doing the hurting. Remember, God uses all things for our good; because He first loved us and sent His son to be the propitiation for our own sin. But now abide, faith, hope and love and the greatest of these is LOVE.